UN investigators say government forces fired chlorine gas at Damascus and Idlib, committing war crimes. 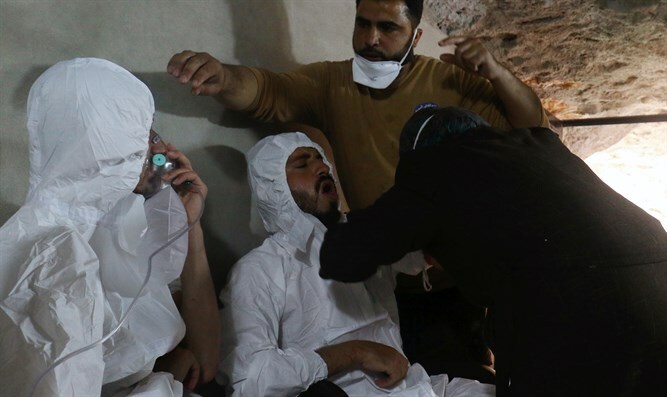 UN investigators confirmed on Wednesday that forces loyal to the Syrian government had used chlorine gas in three attacks on the suburbs of Damascus and the city of Idlib earlier this year, committing war crimes. The conclusion is included in a report submitted by the Commission of Inquiry on Syria. Overall, the Commission has documented 39 chemical weapons attacks in Syria since 2013 - 33 of which were carried out by government forces. A UN source told Reuters that it was not yet clear who was behind the remaining six attacks. The use of chlorine gas as a weapon has been prohibited under the Chemical Weapons Convention, which was ratified by Syria, the researchers noted. According to them, Syrian government forces carried out "indiscriminate attacks in densely populated civilian areas" as part of an effort to recapture eastern Ghouta. These attacks included the use of chemical weapons in Douma outside Damascus on January 22 and February 1. The chemical weapons were launched with the help of artillery rockets manufactured in Iran. In Idlib, chlorine gas was used on February 4.